Thanks for all the comments. A student from Germany kindly offered to host a discussion board for anybody who wants to analyze investment ideas, cases and/or investment subjects in more detail. The infamous Dr. K has also offered to moderate the board. If he upsets too many people, I will referee. As long as differing views are respected then we will be fine. My overall goals for this course are to study deep value investing while encouraging independent and skeptical thinking. We will try to read original sources and apply principles to our own situations. I don’t “like” deep value investing or mechanical investing but I was curious why investing in business disasters is so profitable (Preface in Deep Value). I also find it odd at first glance that Ben Graham the father of detailed security analysis gravitated to rule-based (my substitute for “mechanical”) investing. Joel Greenblatt who was the master of special situation, heavily concentrated investing also moved towards the “magic formula” style of investing. Another great investor I know used to visit companies and be highly concentrated into 8 or so businesses. Now he buys a diversified group of STABLE franchises when they go on sale. He also has a rules-based valuation method. What is going on? Also, as more time passes, you realize that our human flaws are tough to overcome. Toby in Deep Value mentions that experts often DEGRADE mechanical systems. In other words, human tendencies hurt investment performance. Perhaps “mechanical” investing is worth exploring further without preconceived notions. Killing a child is wrong. Those soldiers acted, but then the unexpected happened. What now? Morally you know what is right but can you face the consequences? It isn’t hard to find cheap companies in this pile (but many worth $0), but there is every reason not to act. Can you endure the ridicule? Gold mining is a tough business–when wasn’t it a bad business? Managements are bad (true, but note how US tech firms are buying back stocks near their all-time highs—their managements are no better than the miners yet their stock prices are stratospheric), and on and on. Altucher writes of Buffett’s early career. Even in the 1990’s Buffett was buying net/nets and companies in Korea trading at 2 to 3xs earnings. So I chose Deep Value as a guide/textbook to pursue these topics with this group. We will go chapter-by-chapter in DEEP VALUE by Toby Carlisle while reading the footnotes and original sources as best we can. Let’s understand terms in the book like enterprise value and EBITDA, for example, before moving on to the next chapter. We just finished Chapter 3, Warren Buffett: Liquidator to Operator where we had the case study of See’s Candies. Buffett moved from investing in deeply discounted tangible assets like Dempster Mills to a franchise like See’s Candies. Buffett was willing to pay a premium over book value because the assets of the business generated returns far in excess of its cost of capital. See’s takes commodities like sugar, milk and chocolate and turns them into boxed chocolates that customers are happy to pay a premium for. Why? The company has a brand built through the customer’s experiences with the product. As a deep value guy, I gave a second-hand box of chocolates to my EX. I said, “Here, ignore the half-eaten chocolates, the rest look OK. I got this on a 95% off sale!” Tense! So what can WE learn from the case that we can apply in our investments? So rather than try to be like Buffett let’s take his principles and find applications which we can apply going forward. Why is See’s a great business? Taking commodities and turning them into a product that consumers pay a premium for seems like a business to buy. Note that Bicardi was the best business in Cuba and still is going strong. Bicardi takes sugar and water and turns it into premium Rum. I see similarities—brand name built upon quality and good distribution within its geographical boundaries. See’s is strong in southern California, for example. Perhaps, Sherwin-Williams is a bit like See’s Candies. People are willing to pay a premium for paint because 98% of the cost of a painting job is the labor while you want the job to last and look good. Good distribution coupled with service (color tinting/application advice) is also critical. I could go on but the point is to take the general concepts and apply them in your own way. 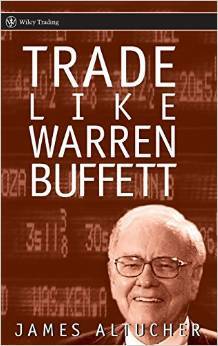 Don’t be Buffett, but be yourself in applying Buffett’s lessons.